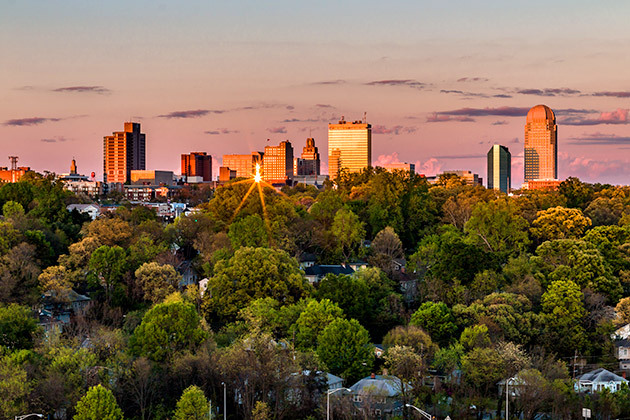 Nicknamed the City of Arts and Innovation, Winston-Salem offers an unparalleled quality of life that comes at a remarkably affordable price. This growing region has been called out as one of the finest locations in America for business and industry, for start-ups, for job growth, for working mothers, for singles, for young professionals, and for families. The city is home to internationally-regarded University of North Carolina School of the Arts, America’s only residential, state-supported school for the arts. UNCSA performs more than 350 cultural programs each year in the spectacular 1,200-seat Stevens Center for Performing Arts. The Piedmont Triad Symphony, Piedmont Opera Theatre and touring Broadway shows also perform at Stevens Center. Although traditionally associated with the textile and tobacco industries, the county is transforming itself to be a leader in the nanotech, high-tech and bio-tech fields. 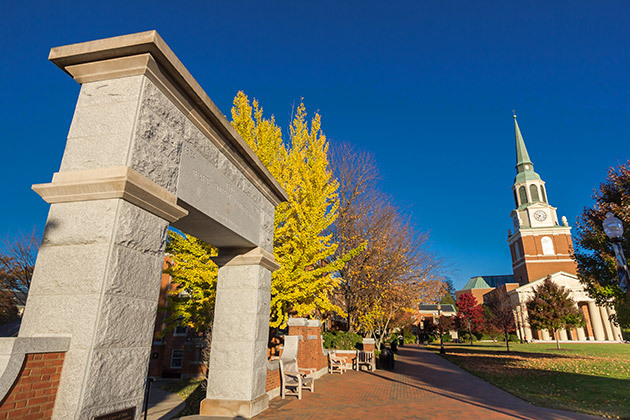 Medical research is a fast-growing local industry, and Wake Forest University Baptist Medical Center is the largest employer in Winston-Salem. Blue Rhino, the nation’s largest propane exchange company and a division of Ferrellgas, is also headquartered in Winston-Salem. A portion of downtown Winston-Salem has been designated as the Piedmont Triad Research Park for biomedical and information technology research and development. It is the location of the corporate headquarters of BB&T (Branch Banking and Trust Company), HanesBrands, Inc., Krispy Kreme Doughnuts, Inc., Lowes Foods Stores, ISP Sports, Reynolds American (parent of R. J. Reynolds Tobacco Company), Reynolds Manufacturing Solutions, Southern Community Bank, K&W Cafeterias and TW Garner Food Company. PepsiCo has its Customer Service Center located in Winston-Salem as well. Neighborhoods in Winston-Salem pride themselves on their lush landscaping, towering trees, winding streets, and, above all, safety. The county is home to everything from turn of the century homes in historic districts such as Old Salem to contemporary custom homes in new communities. The cost of living in Winston-Salem is among the most affordable in the country, and there is a home to suit any budget. Forsyth County offers everything that residents could need, right at their front door. The data relating to real estate for sale on this web site comes in part from the Internet Data Exchange (IDX) Program of the Triad MLS, Inc. of High Point, NC. Real estate listings held by brokerage firms other thanWilkinson ERA Real Estate are marked with the Internet Data Exchange logo or the Internet Data Exchange (IDX) thumbnail logo (the TRIAD MLS logo) and detailed information about them includes the name of the listing brokers. ©2019 Triad MLS, Inc. of North Carolina. All Rights Reserved. Information Deemed Reliable But Not Guaranteed. The information provided is for consumers' personal, non-commercial use and may not be used for any other purpose other than to identify prospective properties consumes may be interested in purchasing. NCTMLS is current as of 4/25/2019. consumers have an unprecedented number of choices in utility providers. The following list includes only the major companies that serve the region. contact your municipal or county clerk.